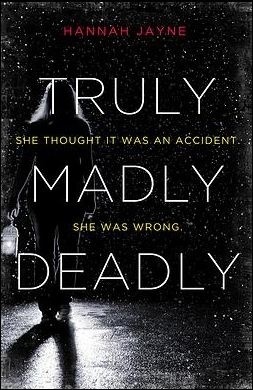 Continuing on with my Crap Book Friday trend (I should probably think up some sort of witty name for this but effort), today I’m reviewing Truly, Madly, Deadly, which turned out to be a truly crappy thriller. There are various reasons for this, but I’m going to keep it brief because I do not have the energy to go into a full blown rant, especially as I don’t think this book deserves that much attention. The main character, Sawyer, had an abusive boyfriend. That’s the guy that died. This in itself wasn’t an issue, but I felt like Sawyer didn’t really process things properly after his death. The abuse didn’t seem to affect her at all, which annoyed me. I think if you’re including abusive relationships in books, you need to address it properly and really flesh the abused character out. It felt really cheap here. And then Sawyer went and got a new love interest, and seemed to completely disregard the fact that her abusive ex was a thing. The instalove here was terrible, and I was rolling my eyes from the start. So I didn’t get all that invested in this book, and I definitely didn’t have fun trying to figure out the mystery or the twist, because the entire thing was so damn obvious from the beginning. And I didn’t really care about the characters. Truly, Madly, Deadly had the potential to be a fun teen slasher book, but unfortunately it turned out to be terrible. Don’t bother trying to read it.